Do you think of the Rose Parade when you hear about the city of Pasadena? Most do! More importantly, did you know there are a lot of fun things to do here year-round? Each New Year’s Day, the country tunes in to see flower-strewn floats parade down Colorado Boulevard. Every other day of the year, the shops and restaurants of this famous street are hopping with families enjoying the town. Pasadena is one of the oldest cities in Los Angeles County and the brick buildings, quiet alleyways, and unique architecture are a testament to its enduring history. Families can walk the streets, popping into shops, eating at one of the many restaurants, and taking in the art and culture. 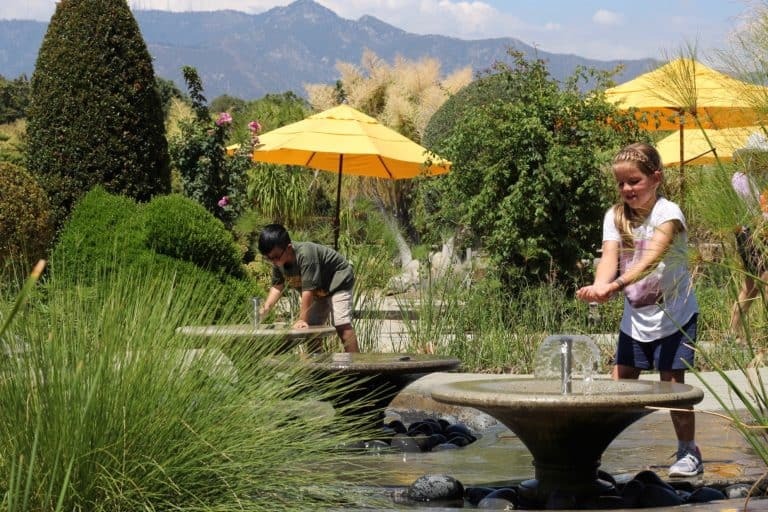 There are many things to do in Pasadena and it’s perfect for families! 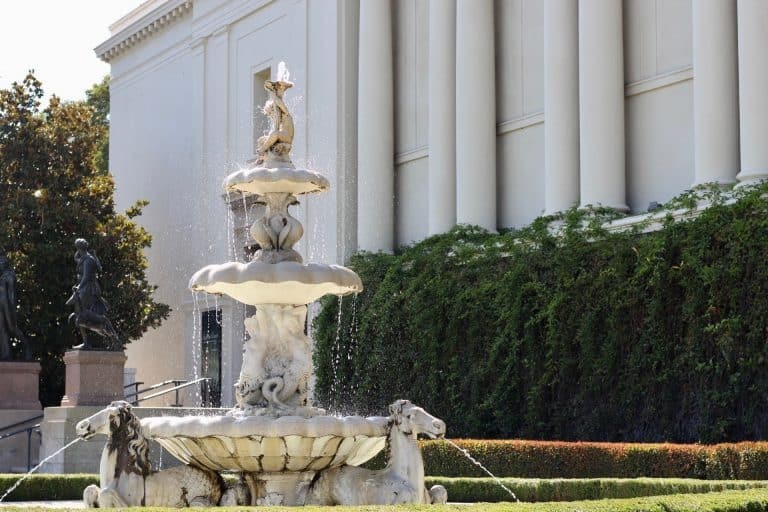 You can spend days wandering the beautiful gardens and art museums of the Huntington Library. At first, my kids wondered where they could check out books. But the collection of plants and art amazed them. Families will want to plan a chunk of time to visit the Children’s Garden with their kids. Interactive art, water features, and plants make this place a gem for discovery. Tropical rainforest plants fill the greenhouses. You can learn about seeds, water, plants, and so many interesting things in these educational greenhouses. Other highlights include the bridges of the Japanese Garden, the intricate stonework and waterfalls of the Chinese Garden, the large collection of roses, and the tea room. 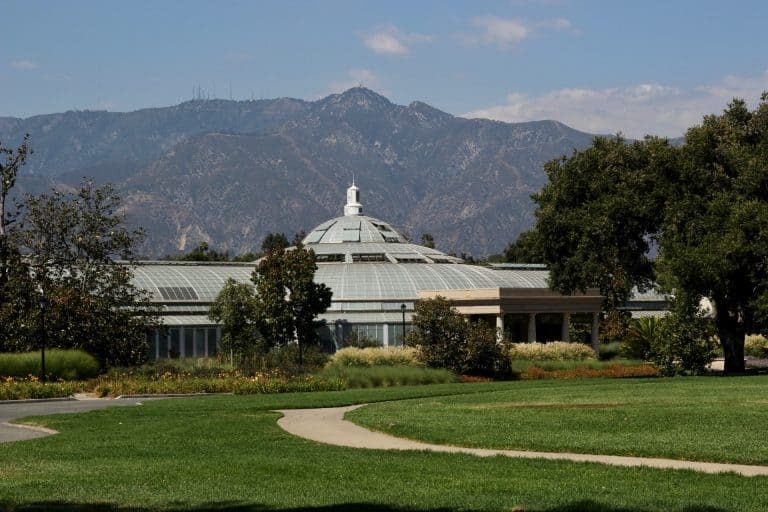 If you love visiting beautiful gardens, be sure to visit the Wrigley Mansion, Arlington Garden, and nearby LA Arboretum. The Tournament of Roses headquarters resides at Wrigley. On the grounds, you can see a wide variety of roses. Wise water use brings nature to life at the quiet urban space known as Arlington Garden. Trekaroo families who love the open spaces and peacocks call the LA Arboretum a hidden gem. Pasadena preserved nature within its urban environment. The junior nature trail at Eaton Canyon Nature Center is perfect for young ones. First, explore the nature center for educational exhibits and then head out on the 3.5-mile trail to a 40-foot waterfall. Some stream crossings, boulder hopping, and small elevation gain makes this a popular spot for families and many hikers. Later in your day, pedal a bike around the Arroyo Seco, the natural dry wash now filled with trees, grass, and the famous Rose Bowl stadium. Finally, be sure to stop at one of the many playgrounds in the city, including the inclusive and accessible play structure of Reese’s Retreat at Brookside Park. Kids will love discovering gems, climbing leaf towers, and exploring hands-on physics at the Kidspace Children’s Museum. Geared for ages 11 and younger, there are a variety of things to do for each age group. Toddlers and preschoolers may enjoy the ant-hill tunnel, a tricycle road course, interactive stations with coloring sheets, animal pelts, rocks and minerals, snakes in cages, and much more. Grade school kids will love climbing the 3-story leaf raindrop tower, splashing in the waterwheel and creek in the nature trail, and creating roller coaster tracks. The outdoor Galvin Physics Forest has hands-on physics demonstrations. Pull levers, pop balls up with air power, and see the effect of pulleys on lifting your own weight. 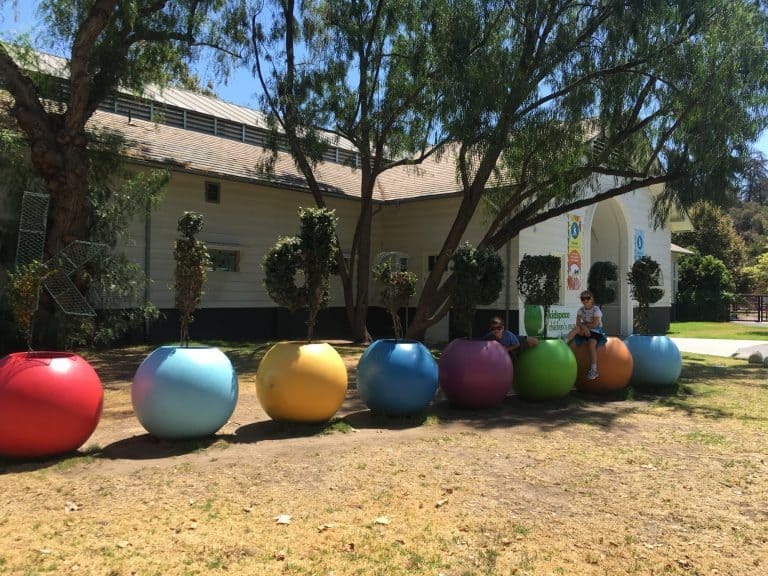 This children’s museum is a great thing to do in Pasadena for families. 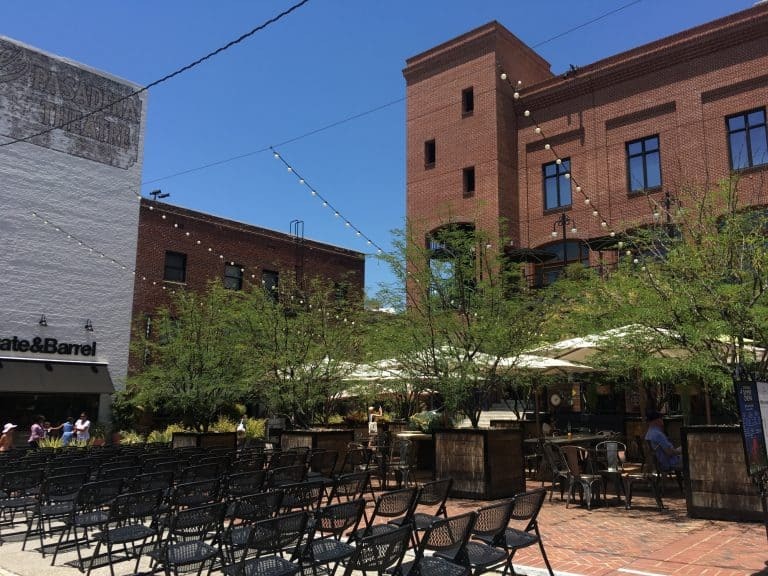 Bricks and historic buildings lined this pedestrian-only courtyard nestled between city blocks. Several delicious restaurants wait for families to enjoy a variety of foods. Browse the shops of J Crew, Gap, Nike, and Patagonia and then enjoy some vegan ice cream at Sage, a sweet candy treat at Sugarfina, or a melt-in-your-mouth cupcake at Dot’s. Take in a movie at iPic Theater relaxing in one of their reclining chairs and order dinner from the wait staff. Check the One Colorado website for details on events taking place throughout the year. Concerts, dance parties, art demonstrations with kids, and summer movies are just a sampling of the fun atmosphere. If you love ice cream (and who doesn’t?) you must visit Pasadena! There are so many artisan ice cream shops in Pasadena that it merited a category of its own. Try handcrafted ice cream at Paradis, one of the creamiest blends you may enjoy. Imagine a donut split in two filled with ice cream inside. I dare you not to drool at the idea of this milky bun from Afters Ice Cream! Dense glazed cronuts create the ice cream sandwich that folks love from Bengees. 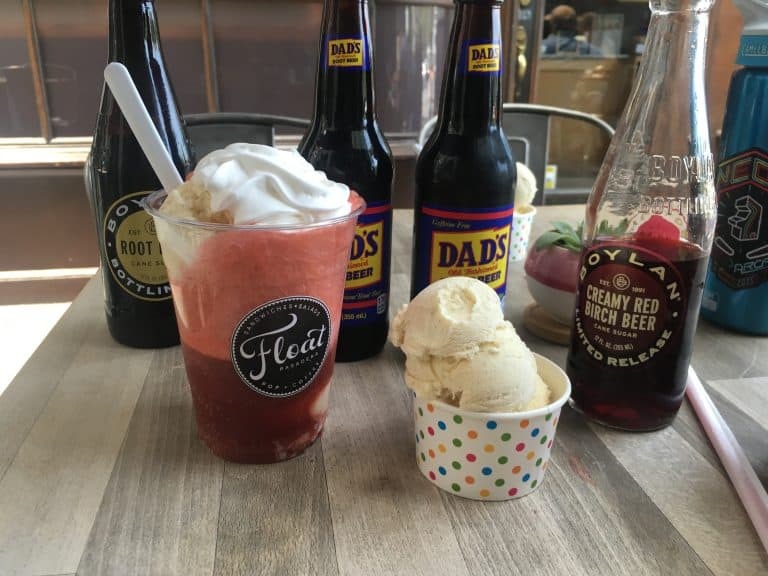 Craft sodas such as birch beer and cream soda poured over ice cream makes for amazing drinks at Float. You can find this cute sandwich shop behind curved windows just across the street from great shopping. You may just float away in happiness when enjoying ice cream in Pasadena. Walking the streets of Old Pasadena is a perfect way to spend a morning or afternoon. We discovered a few gems, such as Distant Lands – a bookstore specializing in travel. Two of my favorite things in life blended together in this tiny shop. I daydreamed of future travels while looking at the books and gear all ready for my next trip. My daughter’s highlight was finding a store stocked with canvases, paints, and all kinds of crafty projects at Blick Art Materials. Then, spend an hour or two at Neon Retro Arcade and get reunited with all your favorite video games from your childhood. I watched a mom proudly teach her daughter how to play Q*bert while I dusted off my Super Mario Bros. brick-breaking skills. Above all, my kids loved pinball, Donkey Kong Jr., and Frogger. Pay by the hour here and avoid the frustration of lost quarters. 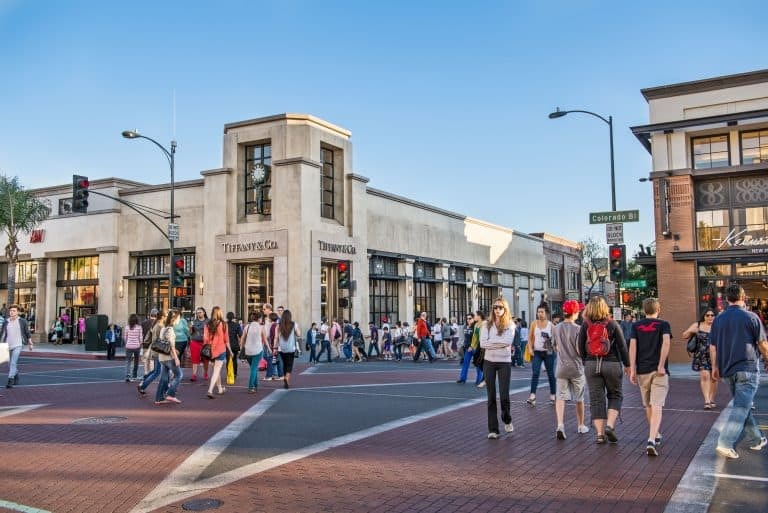 Other great shops include the independent toy store, Dinosaur Farm and the oldest and largest independent bookstore, Vroman’s Bookstore with storytime taking place each week. There are many artistic things to do in Pasadena. Visit the beautiful Norton Simon Museum to view their remarkable private art collection. Children under 18 have free admission and parents will appreciate the interactive art and educational experiences available. In addition, an audio tour designed for kids is available to rent from the information desk. Christmastime is one of the best times to take in a show at the Pasadena Playhouse. Panto productions, full of singing, audience participation, and laughs, are very fun to enjoy with kids. Take in a summer concert at the Pasadena Pavilion under the evening sky with the background of the Memorial Park Band Shell. The Gamble House is a shining example of beautiful architecture and will be well known by lovers of “Back to the Future” as Doc Brown’s House. Did you know that Pasadena is also known as the City of Astronomy? Stars and planets have been discovered and studied here by experts for over 100 years. Take a free public tour at the Jet Propulsion Laboratory to see the travels of JPL to the planets and beyond. The Wilson Observatory up on the mountain overlooking Pasadena was where some of the first discoveries of our galaxy were made. Take a public tour of this historic observatory to see the huge telescopes. Each year, Astrofest is held in Pasadena, bringing together lovers of astronomy and experts for COSPAR. Be sure to explore the free and family-friendly events put on during this event. There are more restaurants per capita in Pasadena than there are in NYC. From the woman making dumplings in the street window (Shandong Dumplings) to the large chain restaurants like Cheesecake Factory, there are hundreds of family-friendly eateries to enjoy. Here is a sampling of some of our favorites. 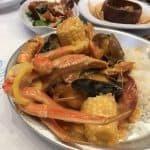 Crackin’ Kitchen – If a Cajun seafood boil married a Hawaiian princess, the results couldn’t be any more spectacular than the grub served up at Crackin’ Kitchen. Enjoy crab legs, shrimp, mussels, corn, and sausage topped with sweet Maui onion sauce or crackin’ black pepper sauce. Luggage Room – Enjoy hand-crafted pizzas cooked in a wood fired oven and served with cocktails and beers in a family-friendly environment. 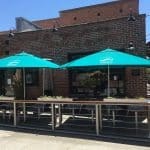 Prawn Coastal – A casual and bright cafe in One Colorado serving grain bowls, fish sandwiches, and an amazing seafood chowder. 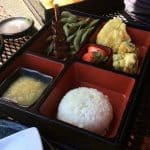 Sushi Roku – High-quality sashimi, sushi, and Japanese drinks are served along with fun kid’s bento boxes. Fun for the whole family and located in One Colorado. Central Grille – A comfortable cafe in a historic building serving delicious breakfast, steak, pasta, and seafood. 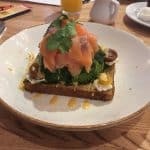 Try the avocado toast and hot coffee for breakfast along with hot pancakes, eggs, and bacon. Walk across the street to Central Park and let kids have fun on the play structure after your meal. 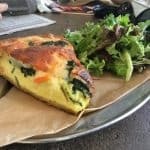 Lincoln – Sample fresh baked pastries or home-made quiche in this old warehouse turned artisan eatery. 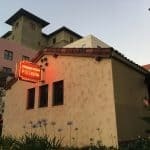 Whether you are coming for a weekend of fun, a week-long getaway, or just passing through town and needing to rest, there are quite a few family-friendly hotels in Pasadena. Be sure to check out our reviews to find out the specifics that families love! 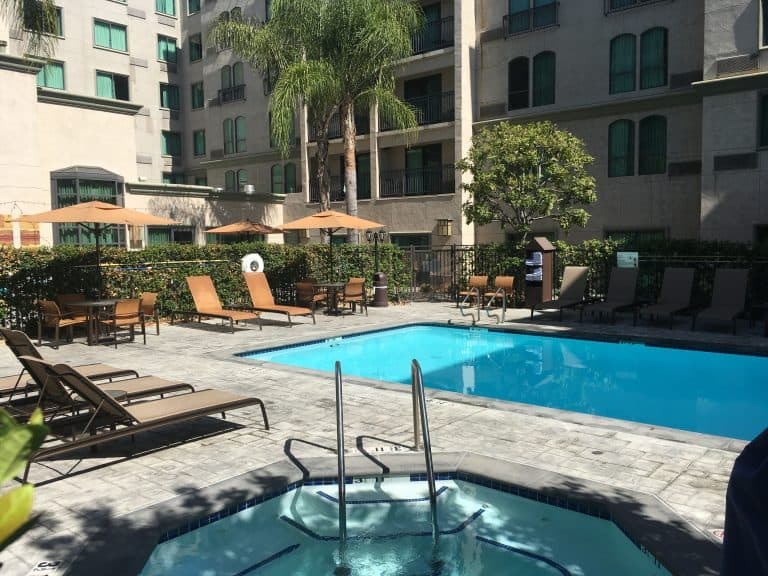 The Courtyard by Marriott Old Pasadena was our home for two nights and we enjoyed it. A large and spacious suite of rooms, a fun pool in a large courtyard, and incredibly helpful staff made this place get a 5-star review from us. Plus it was within walking distance of all the fun shops and restaurants of Old Pasadena. We saved a lot of money in parking fees! Disclosure: I was invited to explore Pasadena by Visit Pasadena. I was hosted for meals and given a complimentary hotel stay. I was not asked to present a particular point of view and all opinions are my own. Lead image by Jamie Pham. All other images by Michelle McCoy unless otherwise noted.